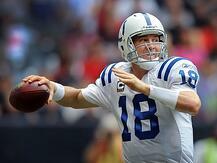 Who’s a more expensive quarterback: Peyton Manning or Rex Grossman? The answer is that it depends how you measure expense. If you look at it from the perspective of direct cost (who gets paid more) the answer is clearly Peyton Manning – heck, Rex Grossman is a bargain by comparison. If having a viable chance of playing in the Super Bowl is paramount then most people would agree that Rex Grossman is more expensive. The likelihood of making the Super Bowl if far, far lower with Grossman than it is with Manning. Sellers deal with this paradigm everyday. Buyers naturally assess decisions based upon the perceived cost of taking an action. The primary job of a Demand Creator is to create the paradigm that allows buyers to make decisions based upon the desired returns. This is why it is absolutely critical that sellers establish and focus on the desired results that a buyer is looking for, rather than focus on the means to achieving the result. Reducing headcount is not a result – it’s a means. Consolidating vendors is not a result – it’s a means. On-time delivery is not a result – it’s a means. Results are the impact of those means. If a company is looking to reduce headcount, the result may be to lower it’s overall cost structure to be competitive in tighter markets. And that opens up a series of questions and potential implications, about what really drives their cost structure. The seller that focuses on how they support headcount reduction will be valued like Rex Grossman. The one that focuses on how they support a lower cost structure will be valued like Peyton Manning.